Unlike women, men don't really think about their swimwear when they hit the beach or the local pool. If left to their own devices, most men would just wear a pair of shorts regardless of its type or function. There are too many guys on the beach that wear the wrong type of swimwear for their body shape. To accentuate and make the best of your body type, it's important to find the right pair. Boardshorts are your friend. Search for ones whose length is almost to your knees. A 23inch inseam is a good length. Anything past the first half of your knee cap is too long. Patterns and bright colors works best. Stay away from solids as they tend to make you look even skinnier. Go easy on the Hawaiian prints. Look for something unique. Consider cotton, a blend or all nylon fabric for you swim trunks. Cotton usually takes longer to dry due to its absorbent nature. Nylon is more water resistant. 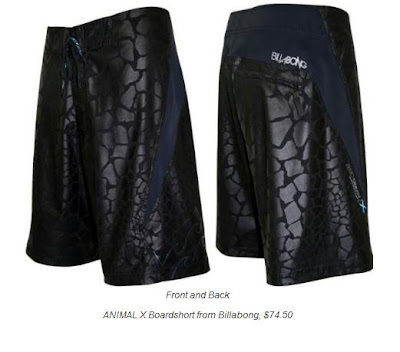 Boardshorts are not for you! These shorts usually have a low waist and are meant to be worn this way. If you have a gut, wearing board shorts will draw focus to your mid-section. It's the kind of attention you don't need at the beach. 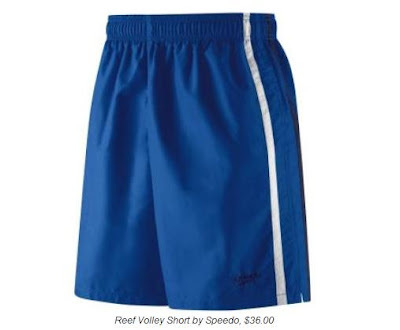 Get yourself into a pair of "volley shorts" also known as the classic swim trunks. 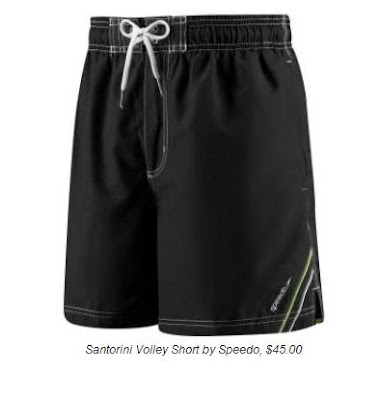 A bit shorter than your typical boardshort, they have either an inside drawstring or an elastic band to keep the short in place. The shorter trunks expose more of your legs, making you look taller and drawing focus away from your gut. The goal is create a lean illusion of you. In terms of colors, stick with solids such as black or navy. Dark colors elongate you and draws less attention to your belly. Loud patterns and colors make you look shorter. In terms of the cut of the trunks, no need to go overboard. Stay true to your waist size and slimmer cuts. Stay away from baggy shorts. It will only make you look rounder. Be at your best this summer! Make sure you wear sunscreen. Don’t forget the sunglasses. More importantly, wear the best type of shorts that suits you. First impressions count…especially at the beach!